Has anyone noticed a problem with the add file selection window, where the first file listed in the selection window is barely visible? 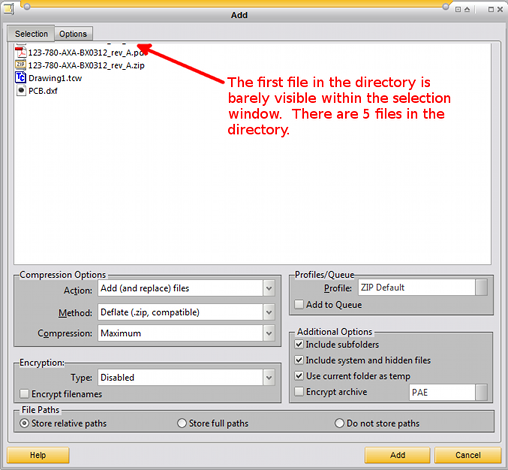 Open a zip file, select “Add”, and look at the files listed in selection window. I’m running PA 14.05.04 on Windows 7 x64 Professional. Confirmed here, with both the default classic and MyPA skin. Tested in Windows 8.1…this is how I now see it. I cannot duplicate this, at least in in Windows 7. How odd. At the same time, I have a problem no one else seems to have. Mine looks just like moles42’s screenshot too! good catch, there is new build coming today/tomorrow so this is perfect timing. Maybe I am looking at the wrong place. (See attachment). I do not seem to have this problem (running latest build). If I am not looking in the wrong place, I wonder if my not having this problem is my connecting to having unduplicatable problems with AC? this happens when an archive is open, simply click the add files button and it will show as in screenshot. I cannot come up with any way to duplicate this. Must be some way I never use PA.
You’re using the advanced add window and the problem doesn’t appear there. If you go to configuration>miscellaneous and deselect “Enable advanced add window” Then try it you will most likely see what we are seeing. Good. I suspect you are right. That is doubtless why I cannot see it. I have used the advanced add window from the beginning. Could you tell my wife that. 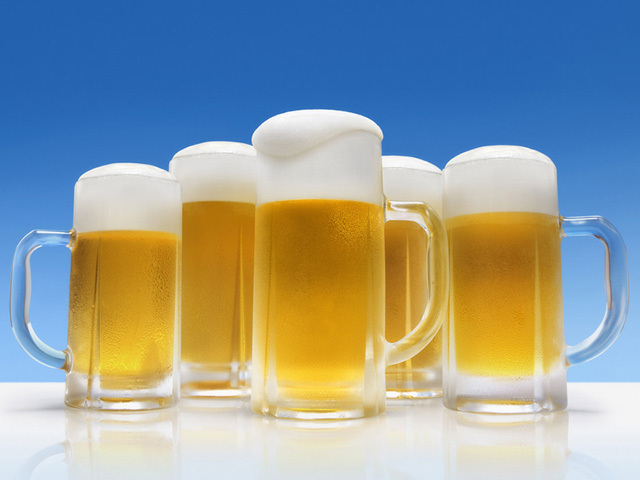 A deserved cold one for everyone! Please update to latest version via Patchbeam, it should work fine… thank you! It appears fixed for me. Thank you! I’m still having the issue even though I have the latest release (at least according to help). When I try to add files to a .cab archive it shows me “My Documents” folder but I can’t navigate to anywhere else on my hard drive. There used to be a button that would allow you to change the folder or go up a level. It’s gone as of yesterday. Spoke over email Michael, thanks for the heads up!